PDFs are a common type of document file that corporate companies and businesses use all the time. Digital file copies are a great way to save on paper and comply within a paperless environment at the same time. While it’s easy to open a PDF file using any compatible app or software today, making changes or editing is an entirely different matter. Readers are only allowed to print the document, sign and send it back via email or courier. Price – $49.95, with a 40% discount that’s valid until January 31st. 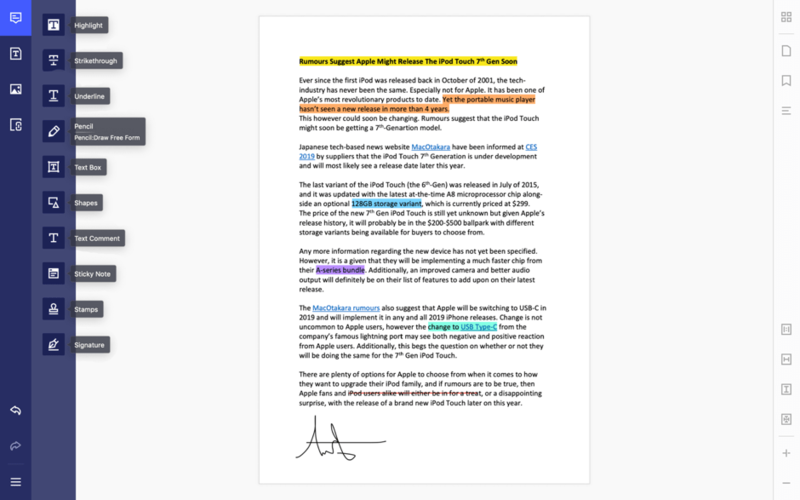 The popular PDF editor software for Mac just got better. Now, you can get the well-designed program for only $29.95, which is available only until January 31st. 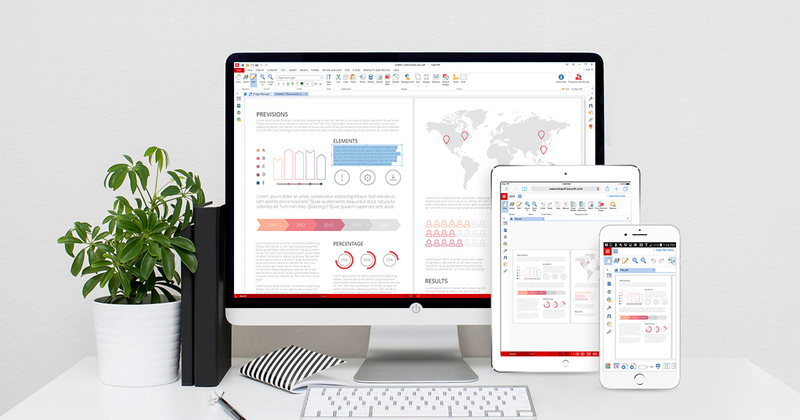 With PDFelement Express, users can read, edit, fill, sign and annotate all PDF files with ease. 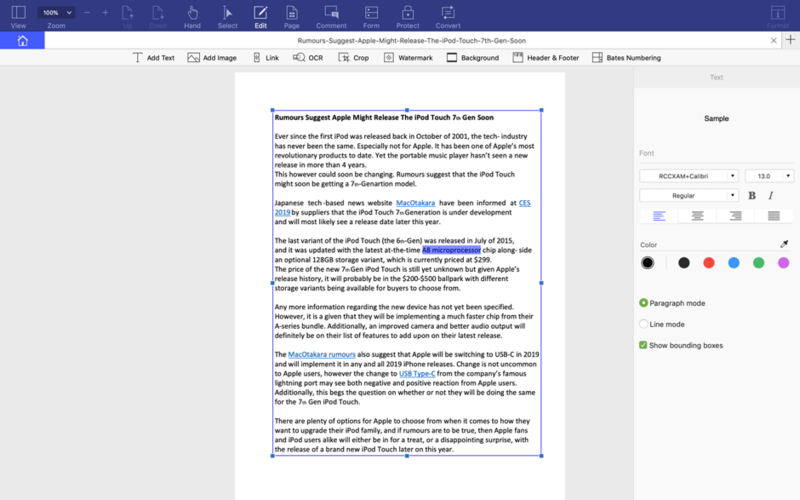 You can change the font size, style and type of text, edit, crop, replace, rotate, remove or add images, adjust page boxes, replace or split, insert and extract pages and page labels within the document. Corporate entities will love the fact that their PDFs are now signable, including but not limited to business forms, tax forms and others. Businesses and organizations can now collaborate on information and ideas much faster than traditional means. Thus, making PDFElement one of the best PDF editor for mac, for both personal and coorperate use. Price – $99.95, with a 30% off that’s valid until January 31st. 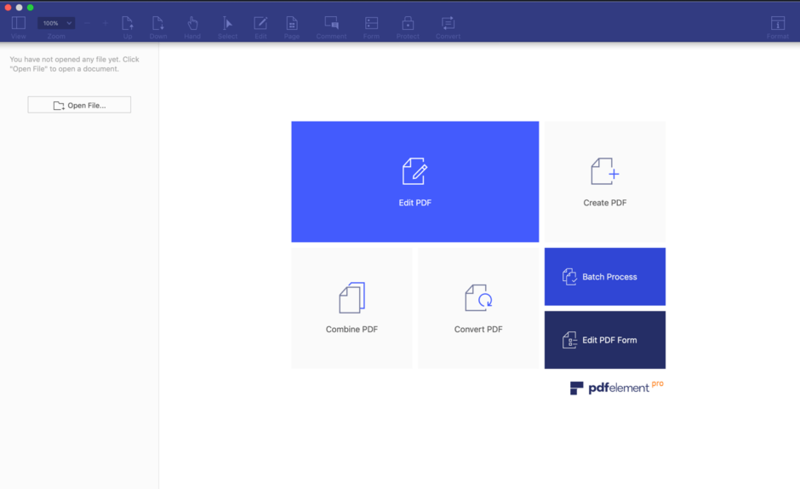 If you’re looking for a full-featured and robust PDF editor, then the PDFelement Pro 6 is for you. The in-depth version includes everything from PDFelement Express, plus award-winning features such as permission restrictions, password protection, digital signature and the option to redact sensitive content. Moreover, users get access to form data extraction, auto form recognition and several other useful ones such as Scanner to PDFs, Bates Numbering and PDF/A support. You’ll be able to edit links, pages and text, as well as add headers, backgrounds, footers and watermarks as needed. The use of OCR, or Optical Character Recognition instantly transforms any PDF file into editable text. 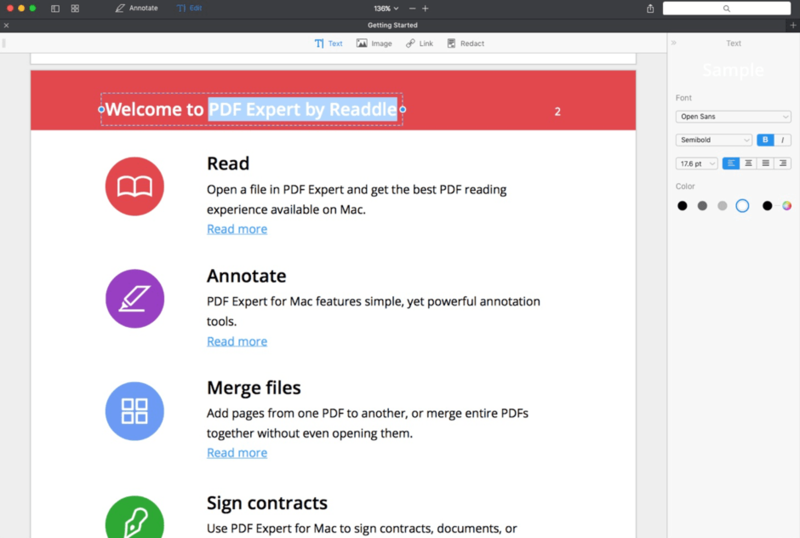 A built-in PDF editor that comes with your Mac OS. You’ll be able to do some light editing as you work on your Mac computer. Preview will allow you to zoom, merge, split, secure and highlight texts or export it in a different file format. 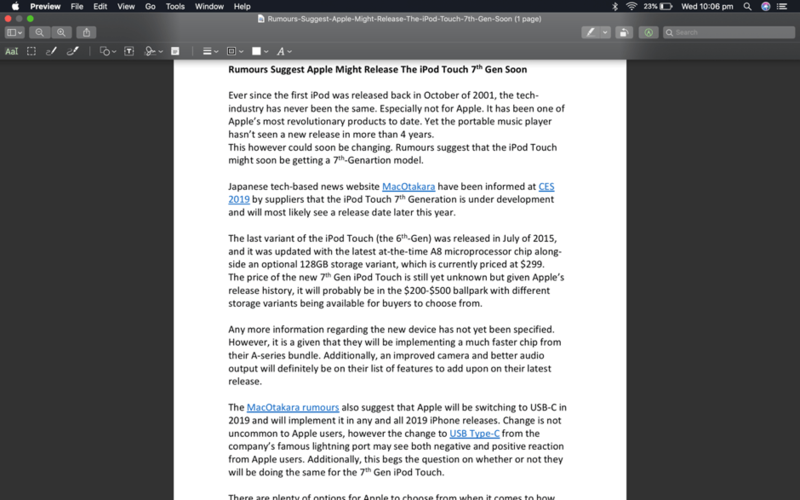 It’s convenience is widely why it is considered the best free PDF editor for mac. 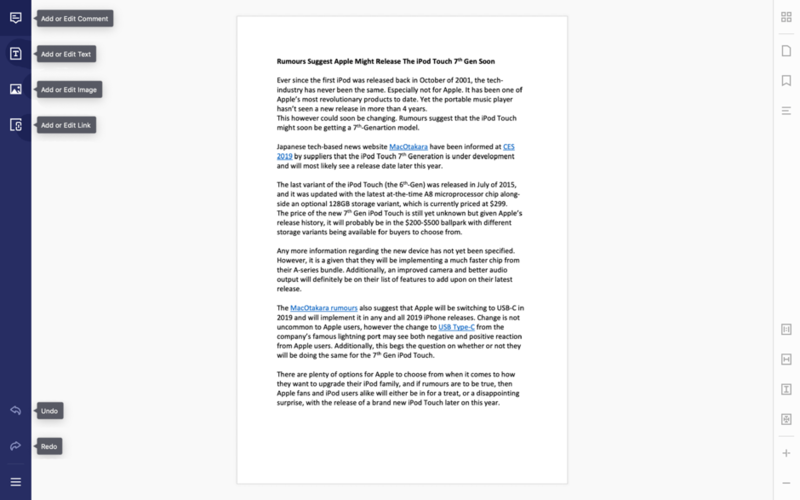 PDF Expert is a premium app by Readdle, a popular PDF brand for the iOS. With PDFExpert, you get simple and easy editing functions on the Mac. The software automatically detects the elements, making it easy for the user to edit images and text on any PDF document. Moreover, you’ll be able to add comments, annotate as necessary and even add comments along the way. Adding, deleting and changing the order is also a definite possibility. The finished document can be uploaded to cloud services such as GDrive and Dropbox for sharing purposes. The iSkysoft PDF Editor contains important functions such as converting .pdf to Word and a host of basic editing tools to allow quick editing as though it were a word processor file. Users can edit layouts by flipping, removing or adding to the overall page count. Standard subscribers can fill out PDFs without the need to scan or print the file. iSkysoft has a Pro version that comes with added features. 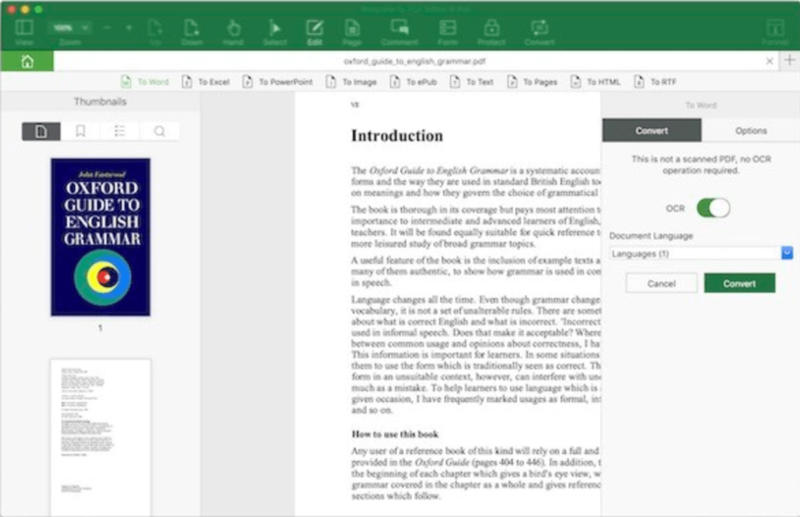 You’ll be able to edit PDFs via OCR, convert to different formats or secure digital copies via password protection.